Colour No 257 – Semuc Champey. 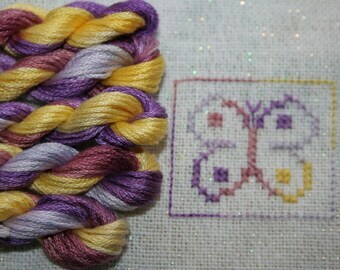 Cross stitch and Blackwork embroidery thread. Fils à Soso hand dyed variegated stranded cotton. 6 strands can be used whole or split and used as 1 or 2 strands depending on fabric used. 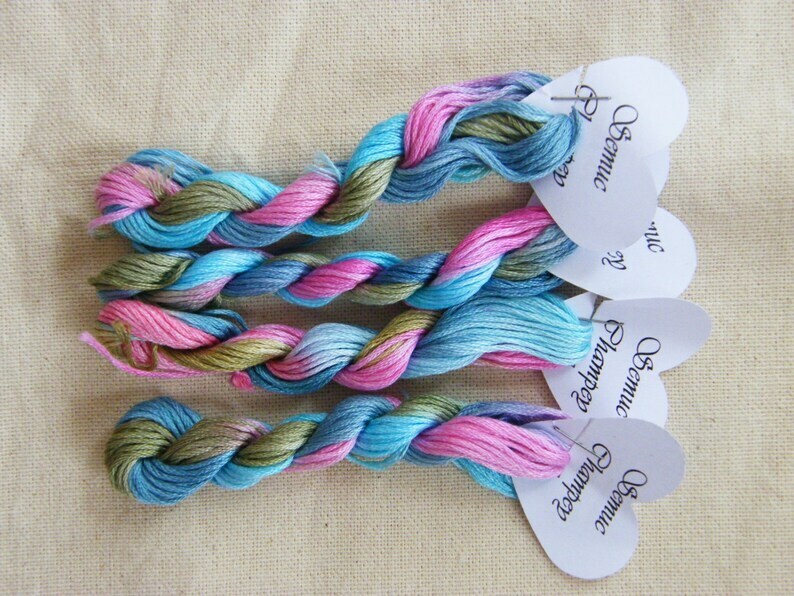 All threads are hand dyed in France by Anne Sophie of Fils a Soso. Use in cross stitch projects and other types of embroidery. 113 – Horizons Lointains, Fils à Soso hand dyed variegated stranded cotton, 8 metre skein. Pretty hand dyed yarn. Cross stitch, Blackwork. 257 – Semuc Champey, Fils à Soso hand dyed variegated stranded cotton, 8 metre skein. Use for cross stitch and other embroidery.